I love bikes with a back story. And this bike, Christine, has a hell of a story to tell. 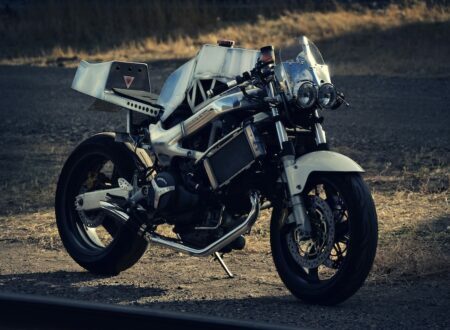 She started life as a stock 1998 Honda VTR1000F before being involved in a traffic accident so severe that it likely would have been the death-knell for most motorcycles.